The drug is the dried rhizome of Schizocapsa plantaginea Hance (Family Taccaceae),growing in ravines, in forests, in swampy lands along roadsides and streams, and distributed inJiangxi, Hubei, Hunan, Guangdong, Guangxi, Guizhou and Yunnan of China. 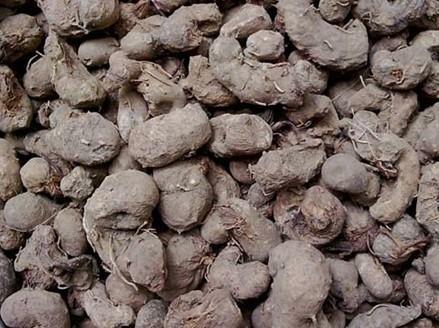 Rhizome is used as antipyetic, anti-inflammatary, antioncotic, analgesic and anti-malarial, for the treatment of gastroduodenal ulcer, chronic gastritis, pneumonitis, upper respiratory tract infection, cough, sore throat, tonsillitis, mumps, toothache and regulating menstruation. Decoct 9~15 g, or pounded into powder for oral taking. Proper dosage is for external application, pounded for applying.